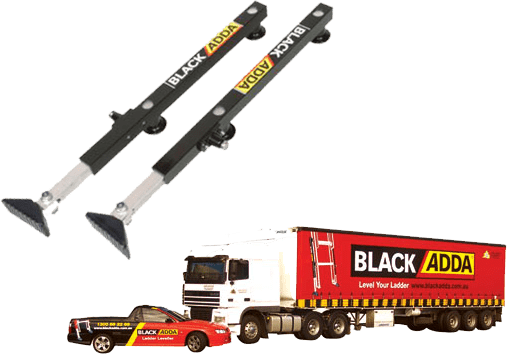 Thanks for shopping at Black Adda Safety Ladder Leveller. • You have 14 days to return an item from the date you received it. • To be eligible for a return, your item must be unused and in the same condition that you received it. • Once we receive your item, we will inspect it and notify you that we have received your returned item. We will immediately notify you on the status of your refund after inspecting the item. • If your return is approved, we will initiate a refund to your credit card (or original method of payment). • You will receive the credit within a certain amount of days, depending on your card issuer’s policies. • You will be responsible for paying for your own shipping costs for returning your item. Shipping costs are nonrefundable. • If you receive a refund, the cost of return shipping will be deducted from your refund. • If you have any questions on how to return your item to us, contact us. Don’t risk the safety of your employees or yourself. Unstable ladders on uneven surfaces cause serious injuries on building and home sites every day. Designed to enable the user to create a level surface upon which to set their ladder. 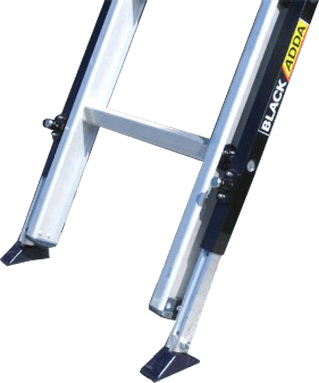 The Black adda extendable leg and adjustable foot system delivers steadfast, level footing for your ladder every time, regardless of the surface or environment.